I haven’t taken part in a WetCanvas Plant Parade Challenge for quite a while. For the month of September, the host has chosen wildflowers. I thought it a great opportunity to grab my camera and take a walk to look for Autumn wildflowers. 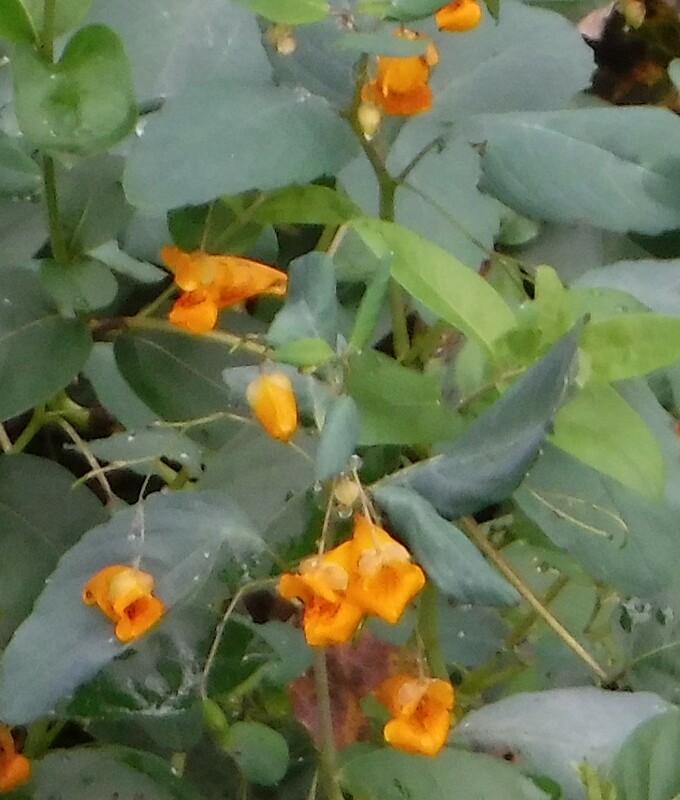 The jewelweed, in the photo above, might seem fragile, but the plant has some mighty powers; jewelweed is a natural remedy for poison ivy. 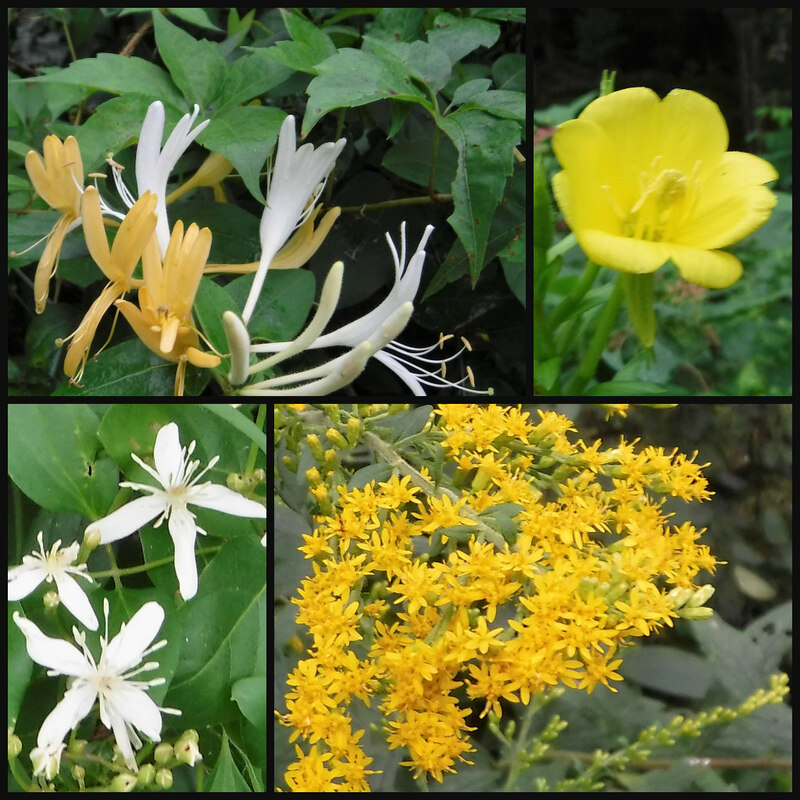 Other wildflowers I found were goldenrod, autumn clematis, late-season honeysuckle, and evening primrose. My wildflower walk is part of Cee’s Flower of the Day. I had no idea there is a plant remedy for poison ivy! The really amazing thing is it so often grows right alongside the poison ivy. And all the wildflowers you picked were yellow and so beautiful. How much of information you provided to your readers through this post.